However, to everyone’s disappointment, the talks ended with a last-ditch agreement to hold more talks in the near future. Simply put, the parties began to realize the real depth of their differences, and there was no breakthrough. Both sides shared a deep sense of urgency to revitalize negotiations, precisely because they have a common desire to push back calls for any kind of military intervention. However, it was ultimately the profound asymmetry in expectations and negotiating positions that undermined the Baghdad talks. I argued previously, ahead of the negotiations, that unless both parties made certain adjustments in their approach, the Baghdad talks wouldn’t hold much promise for a breakthrough. The chief reason for the failure of the talks was the unwillingness of the West to even consider what Iran has sought the most: scaling back existing sanctions and imposing a freeze on pending European Union (EU) and American sanctions against Iran’s financial and energy sectors. Unless the West is willing to negotiate concessions with regard to its punitive sanctions, the Iranians will continue to push the frontiers of enrichment, thus further raising the prospects for an armed confrontation. Ahead of the Baghdad talks, the Iranians heavily campaigned to prepare their domestic constituency for an eventual deal with the West, all the while intensifying bilateral talks with the International Atomic Energy Agency (IAEA) in order to craft a framework agreement for a more rigorous inspection regime. Both the Supreme Leader and the Iranian president reiterated the regime’s fatwa against nuclear weapons, while top officials in Iran’s Supreme National Security Council, foreign ministry, parliament, atomic energy agency, judiciary, and even the guardian council expressed a measure of optimism about a prospective deal with the West ahead of Baghdad talks. This is a highly salient issue in a regime fraught with internal bickering for some years, because suddenly – driven by an instinct for self-preservation – there is a tentative consensus on the need to strike a deal with West. Ahead of the talks, to demonstrate their sincerity, the Iranians also stepped up their efforts to bridge differences with the IAEA. First, Iranian representatives in Vienna engaged in substantive discussion with their counterparts in the agency in order to draft the details of a new inspection regime to more convincingly ascertain the peaceful nature of Iran’s nuclear program. The Vienna talks (May 14-15) were immediately followed by an unprecedented visit by IAEA’s chief Yukiya Amano to Tehran, raising hopes that some kind of deal was in the making. Amano’s visit to Iran is highly relevant, not only because it is the first visit by an IAEA chief to Tehran since 2009 but also because it signals an emerging rapprochement between the agency and Iran. Since the release of its November 2011 report implicating Iran in possible clandestine weapons-related nuclear research, the IAEA has had a very rough relationship with Tehran. Eager to strengthen its position ahead of the Baghdad talks and improve the atmosphere of the upcoming negotiations, the Iranians initially agreed, in principle, to grant the IAEA access to the controversial Parchin military complex, indicating Iran’s willingness to make credible and consequential concessions. The Iranian media also played its part. At the onset of the Baghdad talks, there was much fanfare and optimism in Iran’s state-controlled media. Its focus was primarily on Iran’s negotiating position and how Iran presented a “balanced” and “comprehensive” set of “practical steps” to resolve the nuclear issue, within the framework of a “step-by-step” approach. The IRNA quoted Iran’s Foreign Minister Ali Akbar Salehi as being “optimistic” about the outcome of the negotiations. Moreover, the emerging domestic political consensus over Iran’s nuclear program was clearly reflected in Iran’s qualitatively different negotiating strategy. The Iranians, unlike during the 2010 Geneva and 2011 Istanbul talks, significantly narrowed down the scope of negotiations by no longer venturing into vague and general topics such as world peace, dialogue among civilizations, and terrorism. The Iranian negotiators, headed by Saeed Jalili, primarily focused on issues revolving around Tehran’s nuclear program, with some (expected) peripheral concerns over Bahrain and Syria. Clearly, this time Tehran showed much more interest in clarifying outstanding questions about the real nature of its nuclear program. Meanwhile, the West also toned down its approach by not only rhetorically welcoming Iran’s increased cooperation, but also considering a package of benefits in exchange for greater transparency and the freezing of uranium enrichment at the Natanz and Fordo plants. There were some carrots on the table, ranging from provision of medical isotopes and spare parts for civilian aircraft to nuclear safety cooperation and some technical-financial assistance for Iran’s flailing energy sector. In the past, the West offered more substantive carrots, such as the provision of light water nuclear power plants, direct technical assistance in nuclear energy, and favorable trade and financial agreements. However, since the election of the hardliners in 2005, the political landscape has significantly changed. With Iran coming under tremendous economic pressure while successfully crossing the nuclear threshold by fully mastering the nuclear fuel cycle, the West’s old carrots have become obsolete. Nonetheless, the most essential concession from the West was an indication that it might accept Iran’s right to enrich uranium at around 3.5-5 percent in accordance with the provisions of the Nuclear Non-Proliferation Treaty. Another important development in the West, the election of the Socialist Francois Hollande as president of France, also raised hopes that the Western position would swing toward a more conciliatory and moderate streak. In the past, even during the Istanbul II negotiations, Iranian negotiators complained about the highly obstinate and hawkish position of French representatives, reflecting President Sarkozy’s hard-line anti-Iranian foreign policy. In the run-up to the Baghdad talks, the Europeans maintained constant contact with the Iranians through EU negotiator Helga Schmid, while former French Premier Michel Rocard (a close friend of Hollande) visited Iran and met top officials in an attempt to revitalize Iran-Europe relations ahead of the Baghdad talks. Since the Istanbul II talks in early April, the Iranian leadership, across all organs of the state, made its position pretty clear: Tehran would be willing to cap its enrichment levels and agree to a more intrusive inspection regime if the West in return agreed to reverse its unilateral sanctions against Iran’s financial and energy sector. For Iran, any confidence-building measure, and any development on the negotiation track, would depend on this specific concession. As early as April 17, Iran’s Foreign Minister, Ali Akbar Salehi, made this point very clear when he stated, “If the West wants to build trust, it should begin with sanctions, because it can help speed up the talks reaching a solution. … If goodwill is present, …we are ready to rapidly and easily, and even in the Baghdad meeting, resolve all issues.” This is essentially Iran’s interpretation of the so-called “step-by-step” approach. Iran’s red lines were also clear: there is to be no concession on Iran’s right to enrichment. Moreover, closing the Fordo enrichment plant – Iran’s best-protected nuclear enrichment site – is out of question. For Tehran, given its high oil-income dependency, reversing (pending and ongoing) sanctions and staving off the upcoming EU oil embargo is a matter of core national interest. Despite some significant upsurge in Chinese imports, Iran’s total exports may have been reduced by almost 30 percent. In its recent report, the Organization of Petroleum Exporting Countries (OPEC) stated that Iran’s production has declined by almost 12 percent in the first few months of the year, with a warning that as early as June 2013, Iran could lose its position as the second-largest producer within the organization to Iraq. As Iran exhausts its tanker storage capacity, there is a real danger of Tehran being forced to permanently shut down some of its oilfields if consumer markets are not replenished in coming months. After the implementation of the EU embargo on July 1 this year, the International Energy Agency expects Iran’s oil output to drop by as much as 800,000 to one million barrels a day. That means that compared to the previous year, Iran’s total exports could fall by more than 50 percent in coming months. Iran is already providing sovereign insurance, barter deals, flexible payment arrangements, and significant discounts to keep its Asian customer interested. With the EU sanctions extending to the shipping insurance sector as well as finance, Iran’s non-Western costumers are finding it very difficult to sustain their Iran crude imports. While India and Japan have been reducing their dependency on Iranian oil, South Korea, Iran’s fourth-largest Asian customer, is set to halt all its imports from Iran by June of this year. Moreover, the G8 leaders have even suggested further utilizing their strategic oil reserves to weaken Iran’s influence over global energy markets. Iran’s government is already feeling the pinch. Even the populist Iranian President Mahmoud Ahmadinejad – known for his generally expansionist monetary and fiscal policies – was forced to substantially cut his proposed budget for the upcoming fiscal year, which amounts to $410 billion as compared to $484 billion the preceding year. The West came to Baghdad with a different set of expectations and a divergent interpretation of the step-by-step approach. It sought an immediate freeze on Iran’s 20-percent enrichment and unimpeded access to all of Iran’s relevant sites to kick off any sort of confidence-building measure. Only then would the West be willing to discuss issuing some carrots. Most crucially, there was absolutely no willingness to make any concessions with regard to the punitive sanctions. For the West, as reflected in the statements of EU spokesman Michael Mann, the sanctions are not only a matter of law, beyond political negotiation, but also the West’s main leverage over Iran. In this sense, the talks really held little promise to begin with. Also, the U.S. representatives prevaricated on their position on Iran’s right to enrichment at lower levels. So there was neither a unified mandate nor a Western consensus on Iran’s two central demands: reversal of sanctions and recognition of its right to enrichment. The only thing that saved the talks, which extended into a second day of intense and detailed negotiations after Iran presented its own counterproposals, from total collapse was a last-minute intervention, mainly by the Russians and the Chinese, to hold another round of talks in Moscow on June 18-19. Meanwhile, the United States sent its top diplomat on Israel, Wendy Sherman, to Tel Aviv “to reaffirm our unshakeable commitment to Israel’s security” – an event heavily covered in the Iranian media. These developments were not exactly the best way to demonstrate West’s commitment to a peaceful and negotiated resolution of the Iranian nuclear impasse. Immediately after the talks, Iran unequivocally displayed its displeasure at the West’s negotiating position by modifying its position on granting access to the Parchin military complex and subjecting its high-grade uranium enrichment to any sort of restriction. 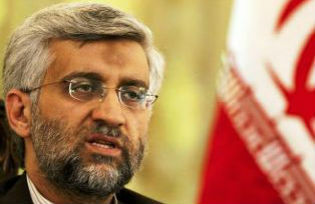 According to Iran’s nuclear chief, Fereydoon Abbasi, “We have no reason to retreat from producing the 20 percent, because we need 20-percent uranium just as much to meet our need.” Regarding access to the Parchin military complex, he said, “The reasons and documents have still not been presented by the agency to convince us to give permission for this visit.” Moreover, Iran announced its plans to launch a second nuclear reactor in Bushehr, to be completed by 2014. On the other hand, the IAEA released a new report suggesting that Iran has significantly increased its stockpile of both high-grade and low-grade enriched uranium, while increasing the number of centrifuges in the heavily bunkered Fordo enrichment plant, where the agency has discovered traces of uranium enriched above the 20-percent threshold – raising further alarm among Western policymakers, who are concerned with possible military dimensions to Iran’s nuclear program. It remains to be seen whether the two sides will eventually agree on an accord that will simultaneously accommodate both Iran’s urgent need to reverse sanctions and gain reliable access to medical isotopes and the West’s demand for greater transparency on Iran’s part and an immediate freeze on high-level enrichment. The Moscow talks will certainly be rough set of detailed negotiations. Richard Javad Heydarian is a foreign affairs analyst based in Manila.